It’s important you find a career that lines up with your passion. 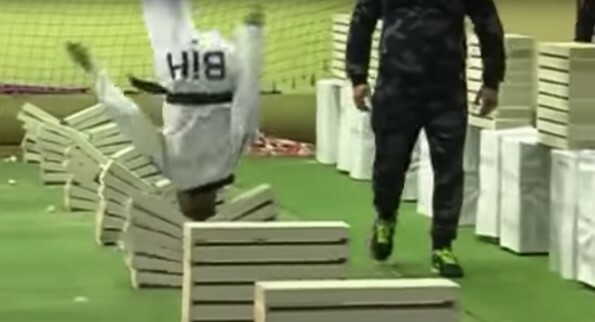 It seems that this guy, Kerim Ahmetspahic, found the right calling after he managed to set a world record for breaking through 111 bricks with his head in 35 seconds. I’m not sure how you learn you’re good at something like this, but once you do, you put it to use. This isn’t a talent most people have, so let your light shine, Kerim! Let’s hope that this sort of thing has a concussion protocol, because I think he might have just gotten about 12 of them.